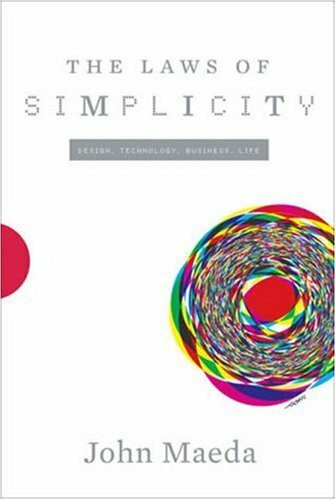 The Laws of Simplicity (Simplicity: Design, Technology, Business, Life): John Maeda – worth the time. Good read – Laws of Simplicity. Musings from master of design. 10 ‘laws’. Some satisfying big patterns. Some hand waving. Moments of elegance and beauty, mixed with philosophy. Occasional descent to fuzzy thinking. But insightful and well worth the time. Great call with CEO of HeadThere ‘unvirtual’ meeting robot. Just too cutting-edge (and bizarre) for enterprise adoption. Low hanging fruit, and massive growing demand with home care for elderly … very interesting, and potentially game changing. I’m enjoying a couple of images from Seth Mabbott, like Leaky Manifold and Nautilus Unravelled. Physics and flash sound like a good background. I love the simplicity of posterous and although blogger was a great tool, from now on I’m posting at posterous. You will still see my updates over at blogger (and twitter and facebook) due to the autoupdate function. First iPhone application explicitly focusing on ‘Awareness’ – rather than a particular task – I’ll blog more on this in the coming weeks as it’s an important emerging category of applications. It’s an outcome from Startup Camp Sydney (2). I participated in the weekend and it was an absolute blast with a great range of Sydney software and entrepreneurial types. My team built this application and business over the weekend, and the same team is still largely responsible for iTraffic Australia (with me acting as advisor, due to my Citrix responsibilities). As a once-upon-a-time machine learning expert, I know that Google recruited a batch of machine learning scientists. Very cool it seemed. But the reality … machine learning doesn’t have common sense no matter how good the machine learned criteria (see the story below). So, for mission critical elements like search, Google still? ?prefers to use human tuned criteria to avoid catastrophic failure. Fascinating – and an interesting lesson in trust for automated learning – although the notion of capturing common sense has been a preoccupation of machine learning and AI for a long while (e.g.??cyc). does? ?use Machine Learning for Spam detection and no doubt in other areas as well.)? ?